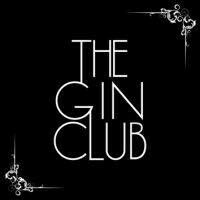 Due to the success of our Wednesday night Gin Club, we are happy to announce that we have now added another night to our Gin Club!! So now every Friday night between 5pm and 10pm you can sit back and relax and enjoy the best Gin selection in the area,(over 30 gins) for a double for the price of a single, our team will serve your Gin in a Copa glass topped with ice and garnish and the very best of tonics from the famous fevertree to our house slimline tonics! Best thing is it's not a school night!!!!!!!! !